CD digipak (3-edition) This is the second album from 2001, with 12 page photo and songbookled + signed by Josef K.
Info:Orchestral bombast from the Middle Ages, Industrial and Neofolk to a Western European tradition. Rising up majestically sacred contemplative. 14 This Is Europe Not L.A. 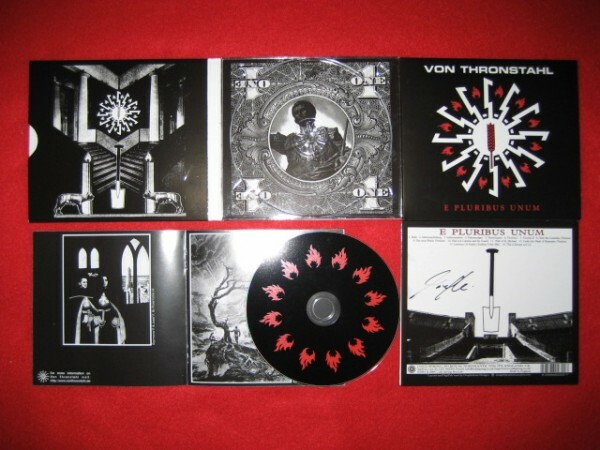 Customer evaluation for "Von Thronstahl - E Pluribus Unum CD (+signed)"